» Blog - 2/3 - Smock. 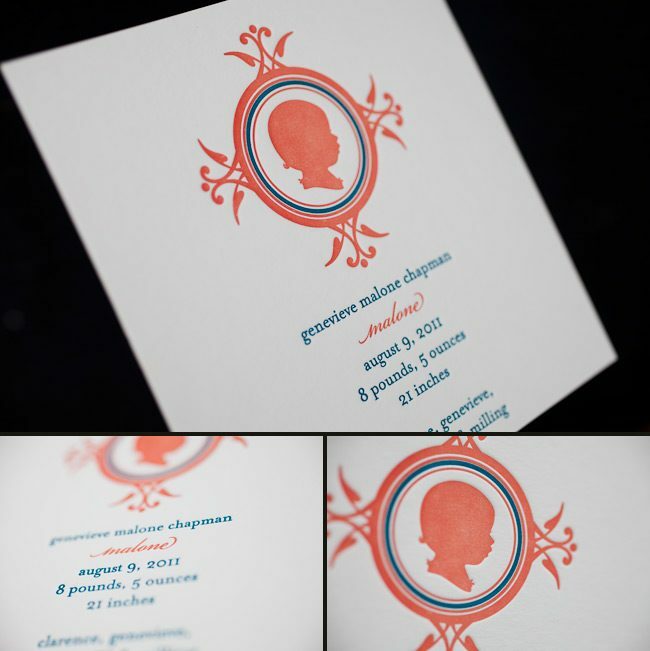 Check out these personalized Tallulah letterpress baby announcements. Our friends at Nest Paper Studio in Oxford, Mississippi submitted these precious baby announcements to us for printing. The silhouette at the very top makes these all the more elegant and truly adds a personal touch. We truly adore the bold color palette of our papaya and peacock inks on these. We can only imagine how excited the proud family is to announce the arrival of their new bundle of joy! During our West Coast travels, Lindsy and I had the chance to stop in and visit lots of our LA dealers – we were thrilled to be able to stop in to the shops and meet our lovely retailers in person! 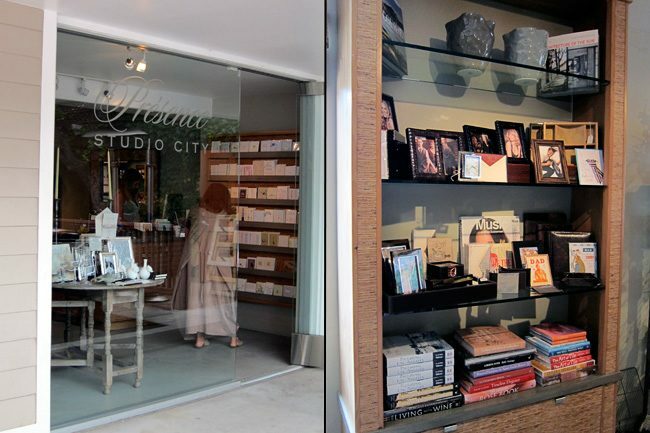 Today we’re highlighting some images of two of the stores we visited during our trip – we’ll start with Presence Studio City, a stationery and gift shop in Studio City. 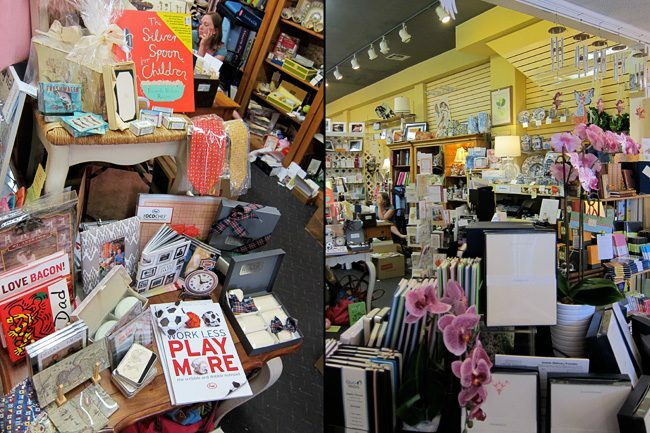 Presence offers a carefully curated selection of unique gifts – including some gorgeous hardcover books, one-of-a-kind jewelry, home decor, fragrant candles, and more. 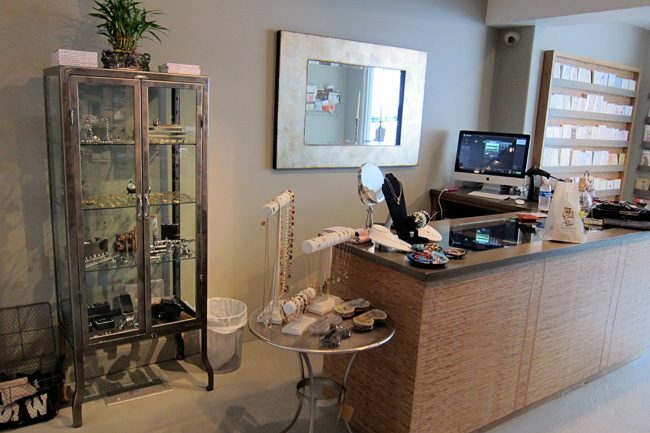 We chatted with Kaila from Presence – she was kind enough to tell us more about this sweet boutique! What about the store are you most proud of? 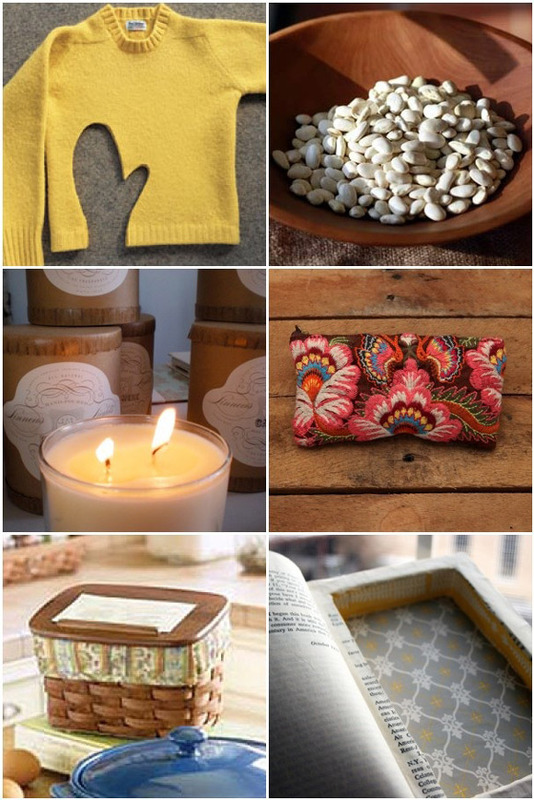 We try to showcase unique yet affordable gifts that people won’t find anywhere else. 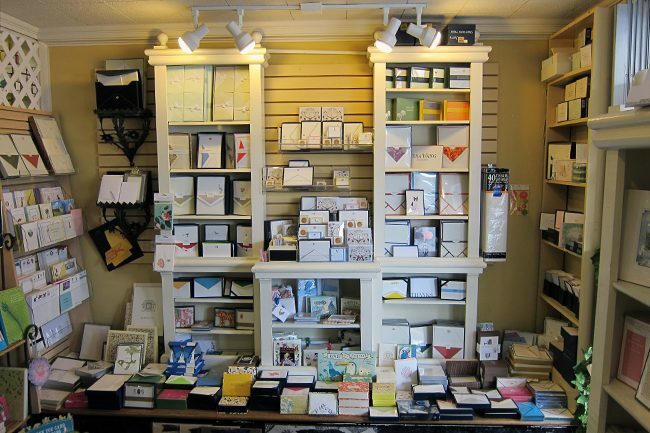 We also pride ourselves on our customer service – many of our stationery and gift customers come back on return visits because they were so happy with their experience. What’s the hottest color palette right now? We’ve been seeing a lot of blues right now – cool tones of blue paired with silver, lots of navy, some turquoise here and there too. Blue is definitely a popular color right now. 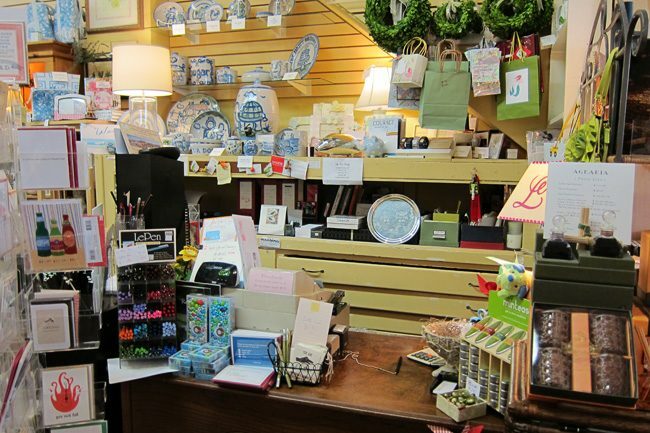 One of our other stops in LA was to Landis Gifts & Stationery – a shop that truly has something special for everyone. 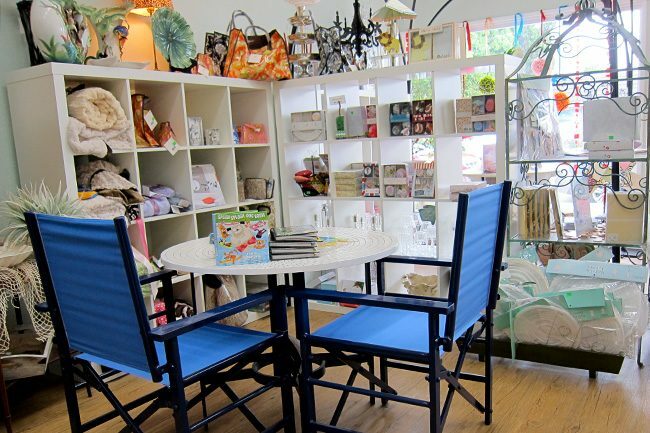 Located on Larchmont Boulevard – an area that got its start in the early 1920’s – the shop is nestled into one of the most historic areas in LA and is surrounded by a wonderful mix of boutiques and restaurants. Edie shared some thoughts about some of our latest products – check out her interview with Lindsy! 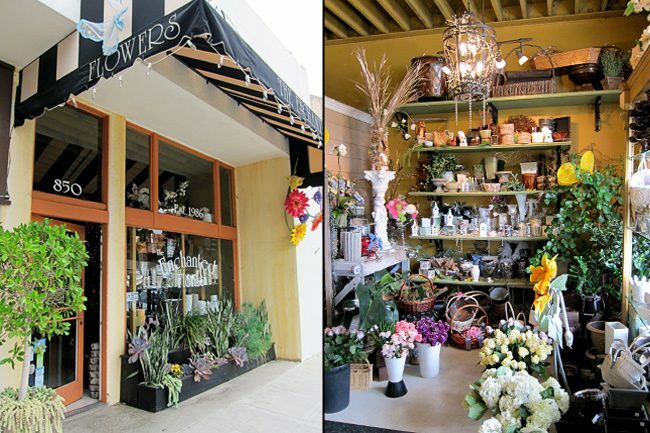 As owners of The Enchanted Florist, a whimsical, flower lover’s dream come true, Lance and Kim Williams opened the most charming stationery boutique in Burbank, California – An Open Invitation. 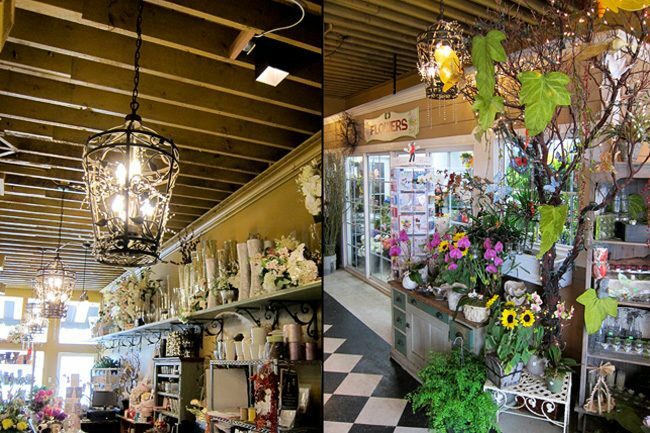 This inviting space is nestled right next store to their flower shop, so visiting is certainly a treat! 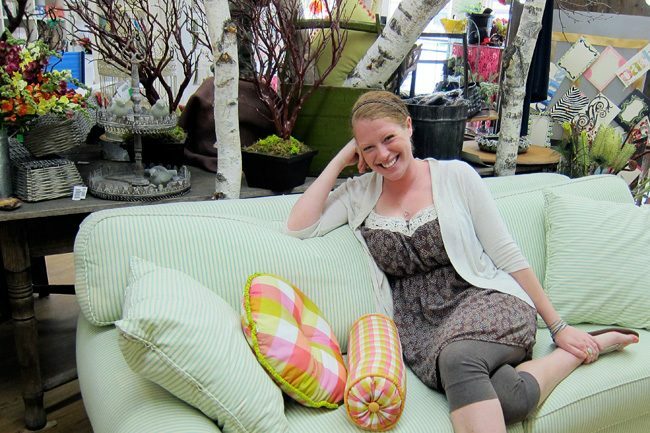 About two years ago, I met the cutest couple ever at the National Stationery Show – guess who!? They both had the warmest personalities and a great love story! I was hooked! 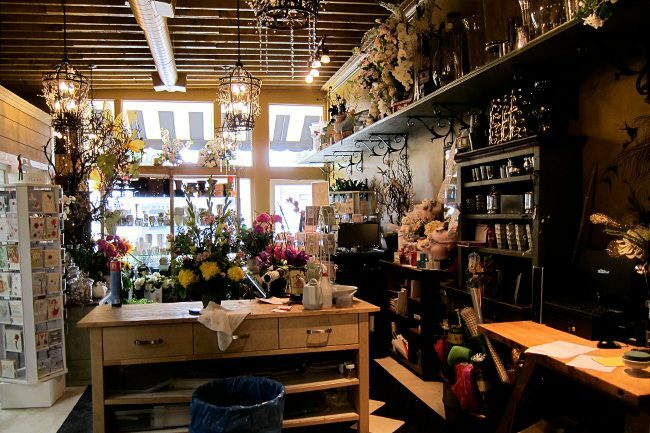 Lance and Kim had actually met and fell in love while working in the flower business together – adorable, right? And they just so happened to be overly intrigued by Smock – even better! They wanted to be Smock dealers right away and the rest is history. Our adventurous trip out west in June lead us right to this enchanted world of flowers and stationery created by the Williams’. 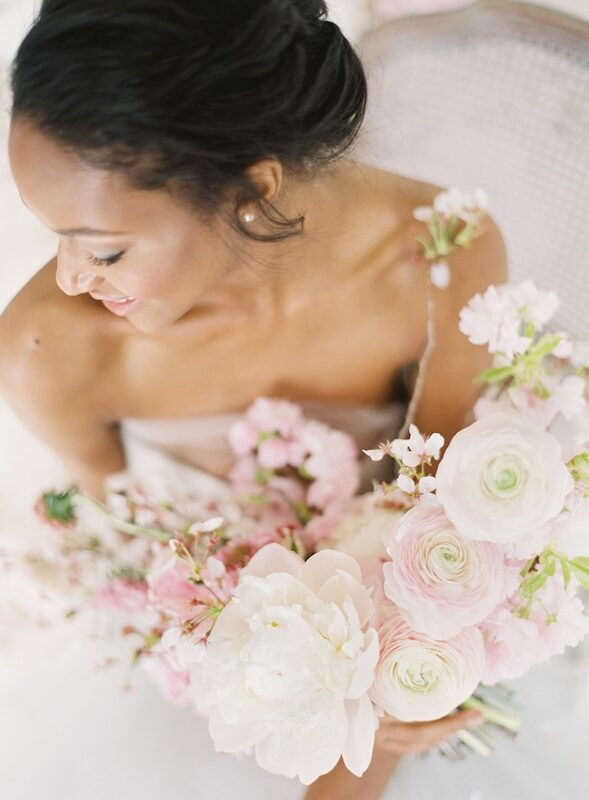 Surrounded by the scent of orchids, the textures of fine papers and sweet-as-pie gifts – I didn’t want to leave! You won’t want to either! 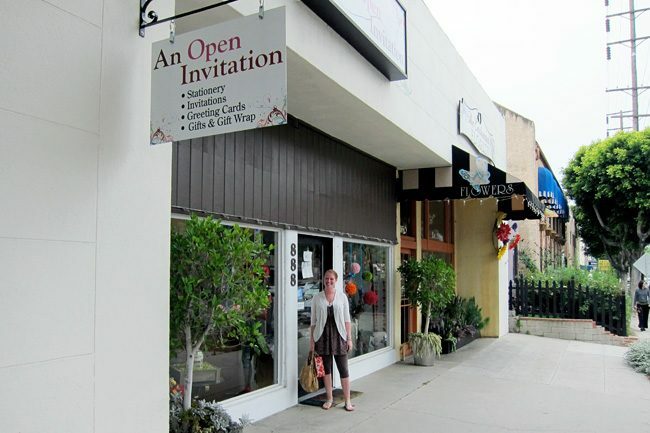 Be sure to stop by – the invitation is always open! 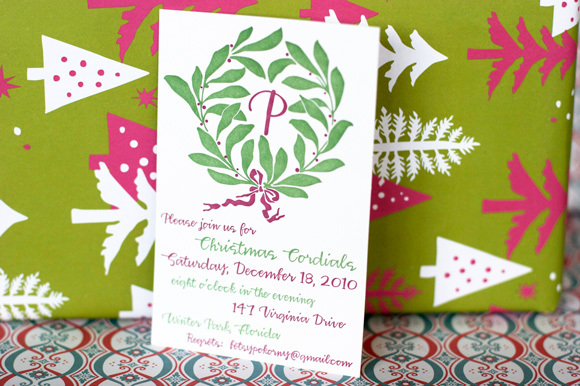 Created for our friends at Nest Paper Studio, we printed these cute custom letterpress holiday invitations for a fun Christmas Cordials party. 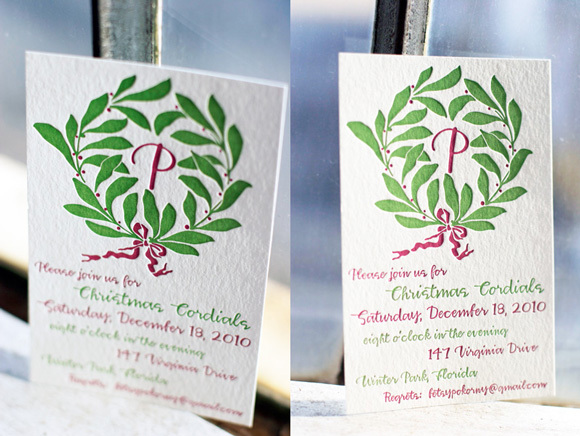 They were printed in raspberry and grass inks and feature our cool new Harrison calligraphy font. We love the petite size and the fun color combination. Not to mention, this sounds like such a fun party – we’d love to get invited! Modern and a little bit quirky, we love these custom holiday cards that we worked on with our friends at Nest Paper Studio in Oxford, Mississippi. They use motifs from our Everyday collection, offset printed in pewter and red inks. 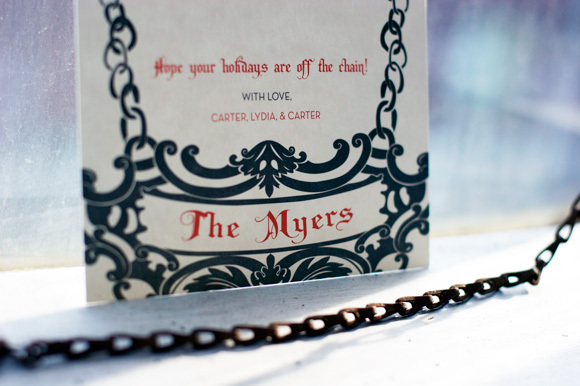 They cheekily wish family and friends a holiday that is “off the chain,” a playful season’s greeting that we can’t help but love. Don’t forget that our Smock holiday promotion ends December 1! Visit your local Smock dealer to get started today. 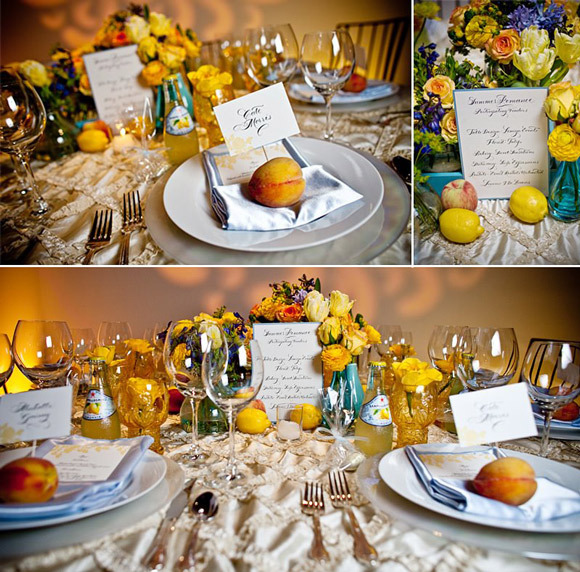 From the amazing linens from I Do Linens, to the adorable place cards poking out of pretty peaches, to the breathtaking flowers from Tulip, the details are so fresh and so pretty. 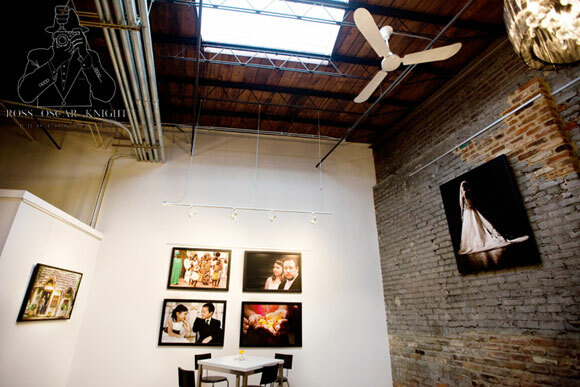 It would make for a beautiful wedding, but would be equally as brilliant for a great anniversary or engagement party. The possibilities are endless! We are completely charmed by how lovely our Smock letterpress menus and place cards look nestled in among such fabulous details. And how amazing is that cake from Sweet Sensations? Even the fresh lemons and adorable bottles of lemonade are incredibly sweet – we’re so thrilled to have our Smock letterpress included in such an inspiring design! A big thank you to Debra for all of the incredible inspiration this week – it’s such a pleasure to share it with everyone! 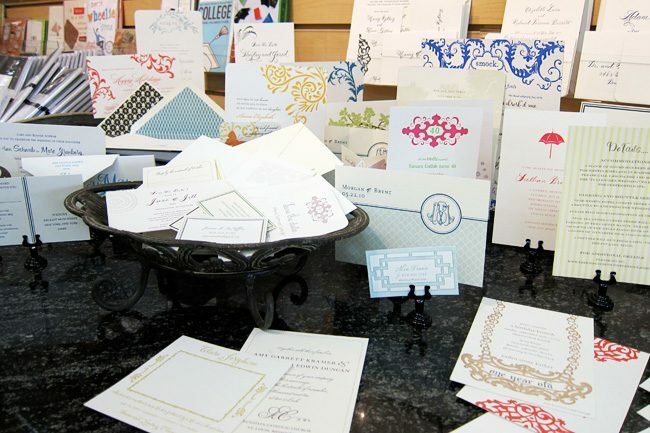 Residing at StudioWed in Atlanta, an exclusive gathering of Atlanta’s finest wedding professionals, Luxe Expressions is the inspired stationery boutique of Debra Saba. (The same Debra Saba who sent us this fabulous birthday party we shared earlier this week!) Having grown up in the small Illinois town of Joliet, with fond memories of the local dime store and visiting Orange Julius with her grandmother, Debra was inspired early on to take great care in customer service. While attending college and majoring in journalism and communications with a focus in graphic design, Debra always envisioned herself moving to Chicago and working for an advertising agency or a magazine. However, after several summers spent working at a golf course and having met a number of professionals, she found herself working for the next decade as a computer consultant in the corporate world. Though not in keeping with her education or her love for design, her career afforded her the opportunity to grow tremendously as a professional and do quite a bit of traveling, leading to her meeting her husband. 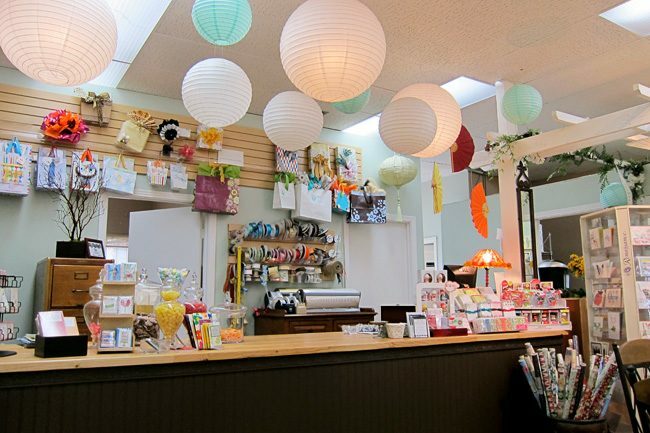 Soon, all of the travel began to feel like too much, and with her husband’s support Debra decided to make the leap and go into business for herself, hoping to spread her love for design through her own stationery boutique and design studio. And with that, Luxe Expressions was born. A typical day in the life of Luxe Expressions involves Debra or one of the other in-house designers working with clients on their projects and keeping in close contact with design studios such as Smock to track progress on client orders. 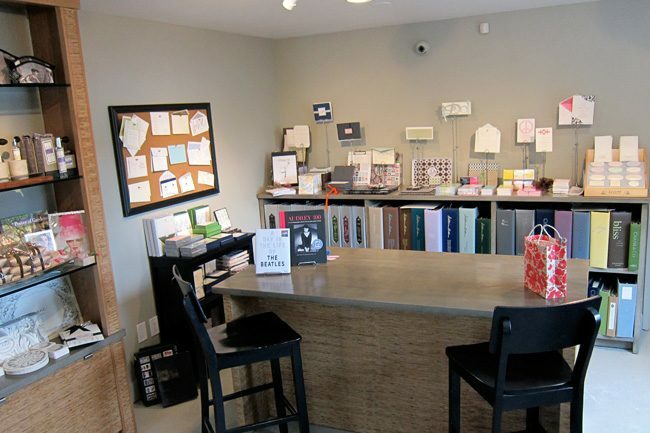 As Luxe Expressions is not a traditional stationery store, consultations are scheduled by appointment only either at StudioWed or wherever else a design client may like to meet up over coffee to discuss their vision and ideas. StudioWed offers fabulous industry experts in everything from stationery and photography to floral design, event planning and catering. 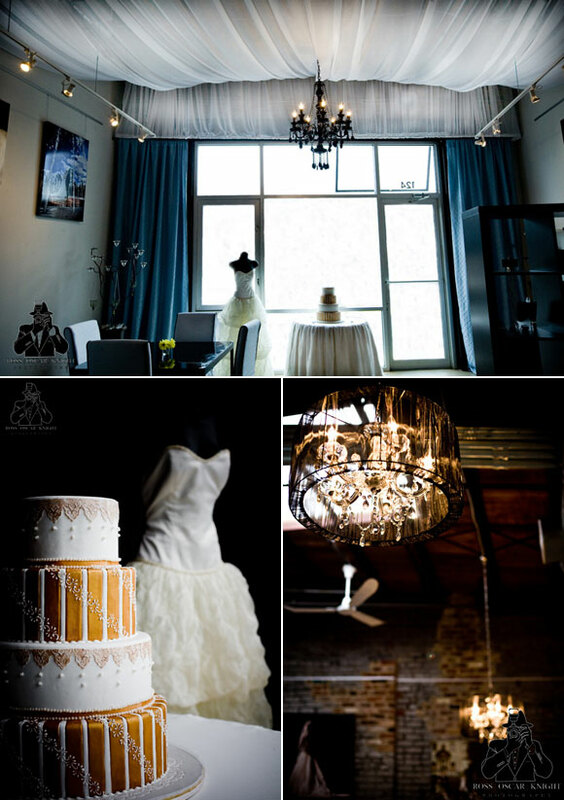 Couples are able to visit the studio, which is exquisitely designed, and have the vendors cater to them while providing endless inspiration for their event. Debra and her team take great care in dealing with their clients, bringing a true consultative approach when dealing with brides and corporate clients alike. From the initial consultation to the final packaging, everything that involves Luxe Expressions is thoughtful and rich in personal detail. The running joke around StudioWed is that even Debra’s invoices come neatly packaged in cute envelopes topped with pretty ribbons. 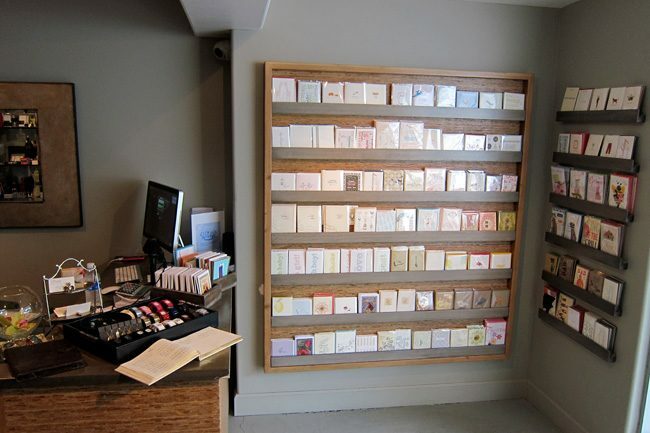 The great pride of Luxe Expressions is making clients friends for life – hopefully if they work with Luxe Expressions for wedding invitations, they’ll be back to design at-home cards, holiday cards and, of course, baby announcements. 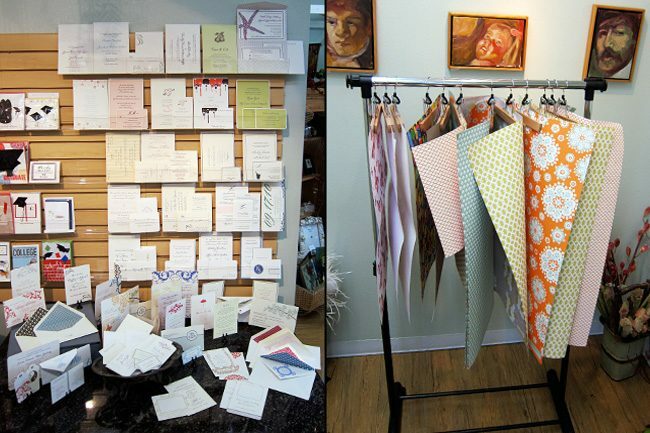 If you could describe your personality in letterpress, which Smock invitation would you be and why? I love them all but there are two that match my personality for completely different reasons. I love pattern and just a hint of the unexpected so I would say Lashar in blind deboss and eggplant. It has a bit of an ethnic flair to it and the pattern reminds me a bit of Damascus, Syria – my husband’s hometown. I also would have to have an inner envelope lined as I like to be very neat and the thought of ripping open an outer envelope and tearing the gorgeous liner makes me sad. I also love Haddington with the Smock Clermont calligraphy font and the names done by hand by Smock’s master calligrapher, Debi Zeinert. One of my favorite things is to collaborate with Lindsy and Beth Ann and everyone at Smock. You truly make my day enjoyable when we are working on a project together. I also love love love my clients, listening to their needs, and translating that into a design for them. 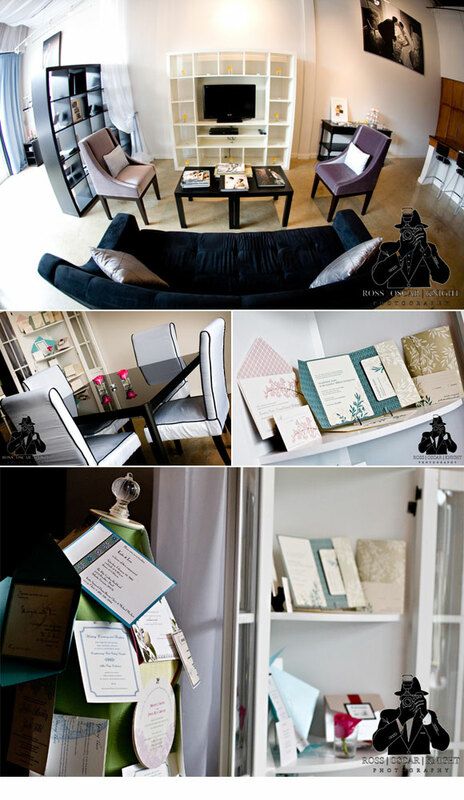 I had a client that Smock did for us and when she saw her printed invitations, she cried. Those are the best part of my days for sure. I also love to “make it happen” so whatever the client needs, we’ll figure it out. I have a great team both internally and in the team of my extended vendor and partnership family. There are two. Internationally would be Damascus, Syria where my husband is from. I love everything from the people, to the smells of falafel cooking on the streets, to the sounds throughout the day. It’s amazing there and if I could talk my husband into moving back, I’d be there! Domestically I would have to say Ponte Vedra Beach, Florida where I lived right out of college. It was perfectly manicured and not fussy at all. It’s gorgeous and a few minutes from St. Augustine which is another favorite. 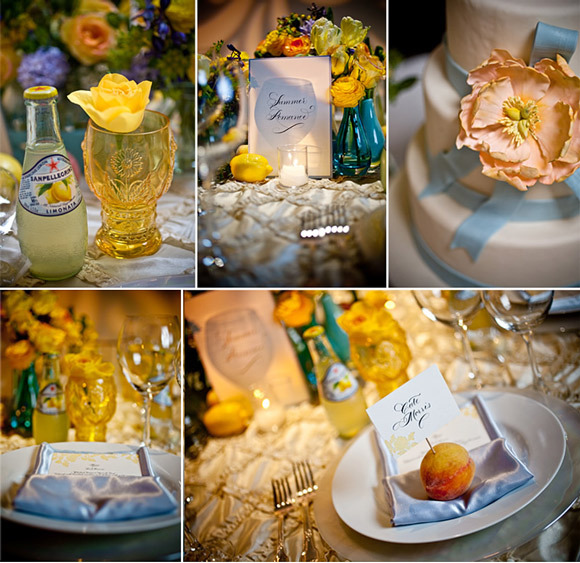 What do you think will be the next big thing in weddings? I get a lot of requests to incorporate my client’s custom linen selections for their event into their stationery. I think bringing in a textile feel to things will take off. 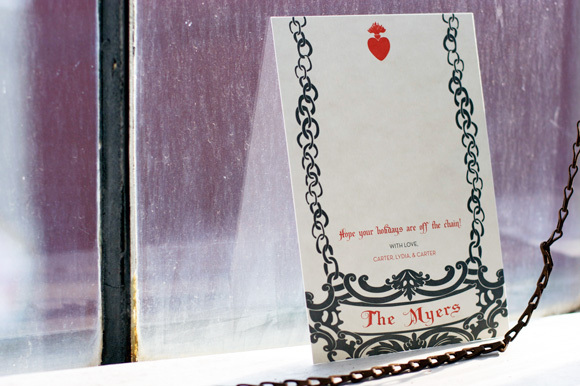 I would love to layer the invitations that are perfectly letterpress printed with some fabulous organic fabric. I am a huge Zappos fan for shoes! They by far have the best customer service for an online company. I also do quite a bit of shopping for fun things on Etsy. Locally I go to Lenox Sqaure Mall in Buckhead or The Avenue at West Cobb where I live out in Acworth, GA.
What’s your top pick destinations for first time travelers to Atlanta? You must go to The World of Coca-Cola, the Georgia Aquarium, and the Atlanta Botanical Gardens as they all appeal to kids and adults. Piedmont Park is also quite lovely. Outside of Atlanta, if you take a drive up 75 north heading towards Tennessee…the view are gorgeous! Thank you, Debra, for indulging us with the inside scoop on Luxe Expressions – you can plan on a visit from Smock the next time we make it to Atlanta! Also, a big thank you to Ross Oscar Knight, the photographer at StudioWed for the amazing photos – including some great shots of Smock’s letterpress wedding invitations! Stay tuned because we have some more fabulous inspiration from the professionals at StudioWed later today! Smock is thrilled to be hosting a sample sale in conjunction with the New York International Gift Show and our Monday Morning Mimosas event with Delphine, Green Paper Company, Russell+Hazel and Linnea’s Lights. 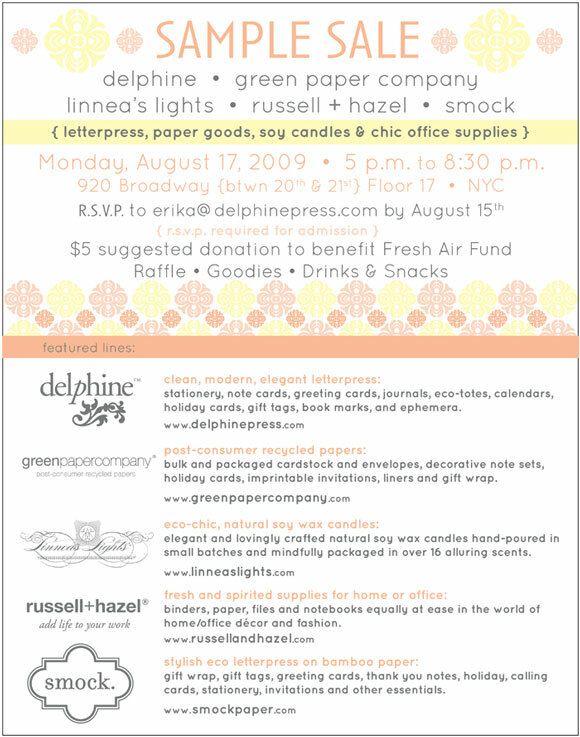 All proceeds from the sample sale, featuring the finest in letterpress, paper goods, stationery, hand-poured soy candles and chic office supplies, will benefit Fresh Air Fund, an organization that works to help inner city children experience life in nature outside out of the city. If you’ll be in New York on the evening of Monday, August 17th, we would love for you to join us for an evening of fun to benefit a tremendous cause. We can’t wait to see you there! Taking our commitment to the environment and green living seriously, Smock happily subsidizes CSA (Community Supported Agriculture) memberships for all employees through a local organic farm, Grindstone Farm. We receive weekly deliveries of fresh, organic veggies and herbs that are typically picked within just hours of reaching us – and they’re incredibly delicious, too! 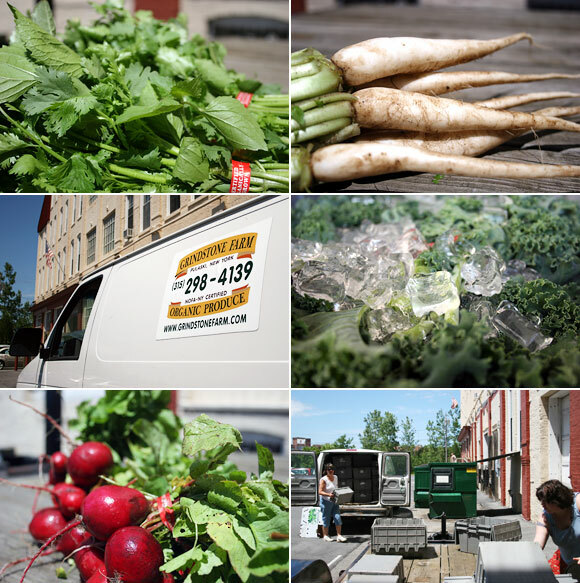 Because the old warehouse we call home, the Delavan Center, is the Downtown Syracuse drop-off location, our CSA deliveries literally come right to our door. We love seeing what awaits us as we fill up our bags and head home to cook. Tuesday becomes our favorite day of the week during CSA season! Usually we can count on receiving an assortment of great lettuces, kale, fresh herbs like cilantro and dill, broccoli so delicious you’ll never want to eat anything other than organic broccoli again, garlic scapes, cool daikon radishes that resemble white carrots, and lots and lots of beautiful red radishes. 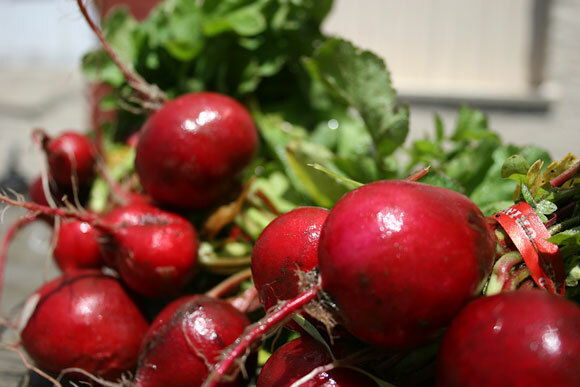 As the season is progressing, so are the crops, but radishes have continued to greet us every week, which led a few of us to start looking into recipes that use radishes and ideally the radish greens too. After a while, we’ve found ourselves at a bit of a loss as to what to do with them other than slice them up for salads. After some hunting around, one of our letterpress printers, Carrie, who is one of the finest artisans we know to ever run an Original Heidelberg windmill, found and tweaked the following recipe that was so good, we just had to share it in the event any of you are at a loss as to what to do with radishes. If you like food with an Asian flair, you will love this recipe. In a large sauté pan, cook hamburger (or meat substitute) over medium high heat, until just beginning to brown, breaking into small bits with spatula. Stir in onion and radishes and cook another 2-3 minutes. Stir in carrots, radish tops, ginger paste and fish sauce and cook 5-10 minutes until onions are softened and hamburger is cooked through. Sprinkle with lime juice (if using) and pepper, to taste. Serve immediately…and feel free to share your CSA-inspired recipes with us and we’ll post them here on the Smock blog!